In its recently reported 2018 Annual Letter, billionaire Bill Ackman’s Pershing Square shared its opinions in detail about all the positions in its 13F portfolio, among which was United Technologies Corporation (NYSE:UTX). A copy of the letter you can find – here. The stock was actually a new addition in 2018 to its equity portfolio and Bill Ackman strongly believes that the company’s announced business separation will be a perfect catalyst for a great share price appreciation in the future. 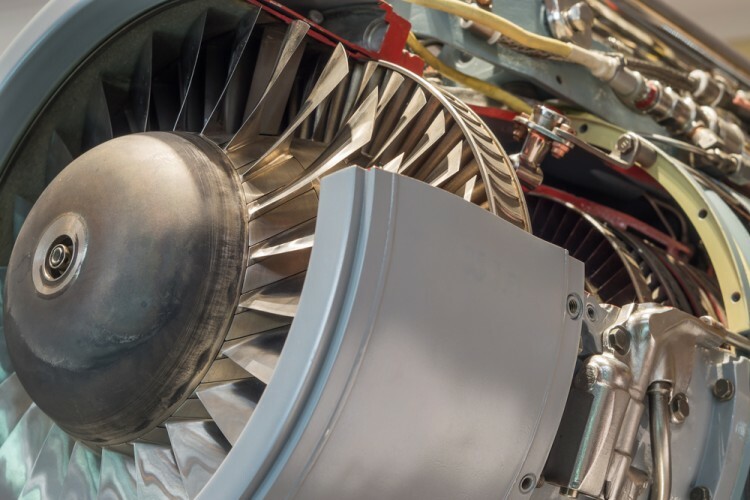 United Technologies, another new investment in 2018, is a high-quality industrial conglomerate which owns market-leading businesses with favorable long-term growth trends and recurring cash flows in the aerospace, elevators and HVAC industries. We believe that UTX has one of the most advantaged business portfolios in the multi-industrial sector, as each of its businesses has significant barriers to entry, high switching costs, substantial pricing power and large future growth potential. The company’s multi-year backlog and recurring service contracts both underpin its future growth and moderate UTX’s cyclicality. After disclosing our investment in February, we met with management and expressed our view that the company’s three businesses are more likely to perform better and achieve fair value as independent companies as they each possess unique fundamental drivers, capital requirements, competitive characteristics, and investor constituencies. In November, shortly after completing its value-enhancing acquisition of Rockwell Collins, the company announced a three-way separation of the company into Aerospace, Otis Elevator, and Carrier. During 2018, UTX’s organic revenue grew 8% and EPS grew 14%. Despite strong business results and the announcement of a value-creating business separation, UTX’s share price declined 16% during the year from our average cost due to investor dissatisfaction with management’s protracted announced timeframe to complete the separation, and the broader market downturn in the fourth quarter. The share price has since rebounded 20% in 2019 as UTX reported strong fourth quarter results and revised the separation timeline to a shorter period. UTX currently trades at a lower multiple of earnings (15 times) and at a wider sum-of-the-parts discount to peers (30%) than at the time of our initial investment despite significant business progress, the closing of a value-enhancing acquisition, and the announcement of a value-creating business separation. We believe the upcoming separation, which should be completed by early 2020, will likely serve as a catalyst for future significant share price appreciation. United Technologies Corporation is a Farmington, Connecticut – based multinational conglomerate and one of the most innovative companies in the world. It provides its services in the building, defense, and commercial aerospace industries. This big military contractor has a market cap of $111.15 billion and it is trading at a price-to-earnings ratio of 19.83. Year-to-date, the company’s stock is up 19%, having a closing price on March 29th, of $108.30, while over the longer period of 12 months, it gained only around 5%. At Q4’s end, a total of 64 of the hedge funds tracked by Insider Monkey were bullish on this stock, a change of 8% from one quarter earlier. 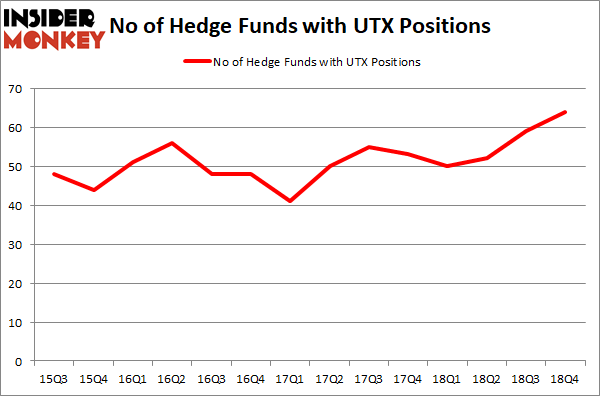 On the other hand, there were a total of 50 hedge funds with a bullish position in UTX a year ago. So, let’s see which hedge funds were among the top holders of the stock and which hedge funds were making big moves. Among these funds, Viking Global held the most valuable stake in United Technologies Corporation (NYSE:UTX), which was worth $743.6 million at the end of the third quarter. On the second spot was Pershing Square which amassed $594 million worth of shares. Moreover, Fisher Asset Management, Soroban Capital Partners, and First Pacific Advisors LLC were also bullish on United Technologies Corporation (NYSE:UTX), allocating a large percentage of their portfolios to this stock. On February 22nd, JPMorgan Chase & Co. initiated coverage on the stock and placed an ‘Overweight’ rating on it, with a price target of $132.00. Did Hedge Funds Drop The Ball On Plains All American Pipeline, L.P. (PAA) ? Here’s What Hedge Funds Think About Total System Services, Inc. (TSS) Here’s What Hedge Funds Think About Cheniere Energy, Inc. (LNG) Here’s What Hedge Funds Think About ABIOMED, Inc. (ABMD) Here is What Hedge Funds Think About American Airlines Group Inc (AAL) Did Hedge Funds Drop The Ball On Markel Corporation (MKL) ?